With no company like Chitown Trainer around, Kreate developed a unique strategy to highlight their freshness and simplicity. This message inspired the various print material, merchandise, and web designs. We also kept the future in mind regarding scaling. As Chitown Trainer grows, we can add functionality to the website where users can login and view their fitness. Starting from scratch on the Chitown Trainer brand, our motivation came from within. The website and various logos have a clean, contemporary feel that remind the user of how easy Chitown Trainer is. From the colors to the font, we maintained the focus on easy and effective access while wowing with a fresh look and feel. Kreate produced a website and branding model that is easy to navigate, modern, and responsive. 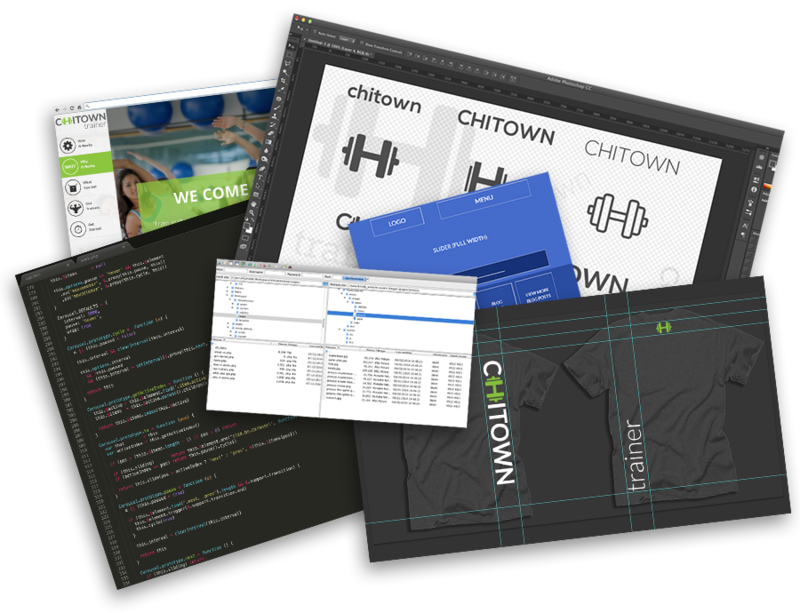 With our creative use of simple and effective design, the client receives a strong sample of what Chitown Trainer has to offer. The fitness buffs can come away with a newfound challenge, while the newbies can feel a bit more comfortable and confident. Either way, Kreate’s website and branding allows the world to get informed, get fit and get a Chitown Trainer.